At Doug's Construction and Repair, we are best provider of AC repair services in Rigby. We understand each of our customers needs when it comes to heating and cooling, which is why we strive to give them the best installation and repair services in the industry. Have an emergency? Don't worry. Our technicians are on hand 24 hours a day to help you with any issues your furnace, air conditioner, or water heater is experiencing. 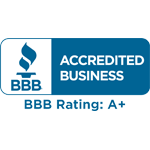 We stand by our commitment to getting our customers quality service at a fair price. We are so confident in this we invite you to get quotes from our competitors. You should be aware, though, there are some scam artists in this industry, so do your homework about any company you are considering hiring. If you do get a quote lower than ours, bring it to us. We can almost always match or beat the price if it is a reputable company. We even offer same day financing to our qualified customers. If you are looking for the best services for you air conditioner Rigby has to offer, we are the right choice. We offer comprehensive air conditioner repair and replacement at an affordable price. We perform both single and two-stage repairs. We even offer great energy-saving AC units that can help pay for themselves by reducing your monthly energy bills. In some cases, these units pay for themselves over their lifespan. Your water heater is something you should have serviced at least on an annual basis. An ounce of prevention is worth a pound of cure when it comes to any aspect of your home. This is the only way to guarantee you have a working water heater for as long as possible while keeping it as energy-efficient. We are the best service provider for you water heater repair in Rigby has to offer, so call us today for a repair or installation quote. Call us today for any air conditioner, furnace, or water heater needs. We have a long list of satisfied customers in the Eastern Idaho area. We always strive to get our clients the lowest prices and will match the price of any professional competitor.